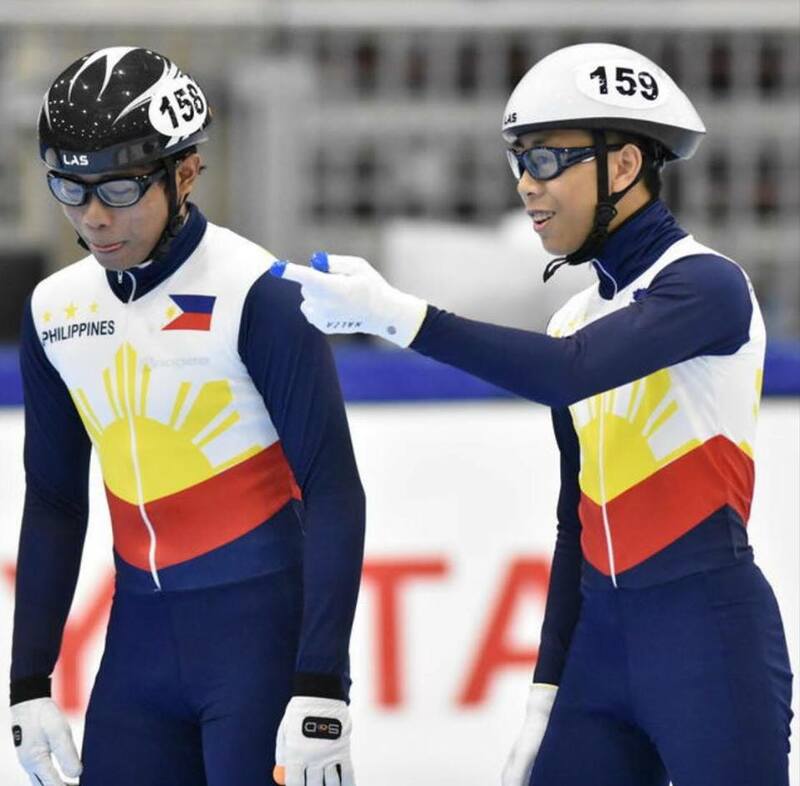 Marc Gonzales and Julian Kyle Macaraeg continued to put the Philippines on the map for short track with a solid debut at the ISU World Cup Short Track series. The two competed at the first stops of the series - in Calgary, Canada from November 2 to 4, and in Salt Lake City, USA from November 9 to 11. Macaraeg raced the 500m and 1000m distances in both competitions. Meanwhile, Gonzales raced the 500m and 1500m in Calgary, and the 1000m and 1500m in Salt Lake City. Among the youngest competing and racing among Olympic medalists and World champions, 16-year-old Gonzales and 15-year-old Macaraeg both held their own. In Calgary, Macaraeg finished 37th in his 500m race and 40th in the 1000m, while Gonzales finished 32nd in his 500m race and 40th in the 1500m. In Salt Lake City, Macaraeg finished 40th in the 500m and 36th in his 1000m race, with Gonzales finishing 38th in both his 1000m race and the 1500m. Both set new personal best times across their respective distances. Macaraeg continues to prove himself as a sprinter, setting a new record for the 500m in Calgary with 43.936 seconds. He also improved on his time on the 1000m in Salt Lake City at 1:29.658. Gonzales, too, continued to show his strength in long distance racing. He managed 1:30.348 in the 1000m and 2:23.343 in the 1500m in Salt Lake City. This is on top of improving his performance in the 500m as well, clocking in at 45.381 seconds in Calgary. Both Macaraeg and Gonzales are strongly favored to be medal contenders at the 2019 SEA Games in Manila.